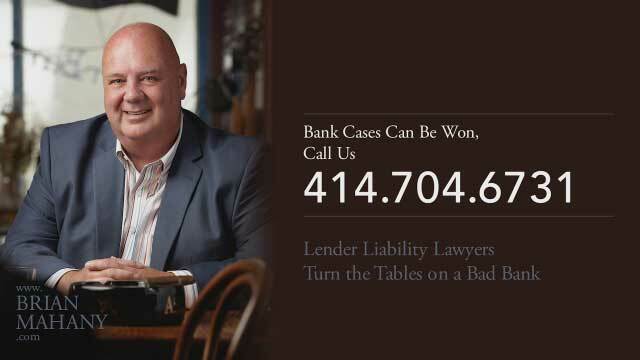 Many business owners who are sued by their lender call us and ask if they can win a case against a bank. Duty of commercial reasonableness on banks. The financial crisis of 2007 opened America’s eyes and exposed the truth about our financial system. That means banks tend not to do well these days in front of a jury. Banks will attempt all types of legal maneuvering to keep a case away from a jury. If they are unsuccessful, chances are good that the bank will come to the settlement table and act reasonably. There are two keys to defending a lawsuit by banks. 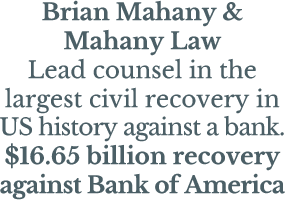 First, have a great lawyer who concentrates in lender liability cases. Just like you would not see a general practice physician if you needed heart surgery, the average commercial litigation lawyer is not properly skilled in banking cases. We have forced banks to pay billions of dollars. They know us and respect our ability. The second key is to figure a way to turn the tables on the bank. If you can bring a viable counterclaim against the bank, suddenly the lender must not only worry about losing its case but now could find itself on the hook owing you. If you have questions, we would love to hear from you. Our consultations are free and without obligation. Everything you tell us is protected by the attorney – client privilege.